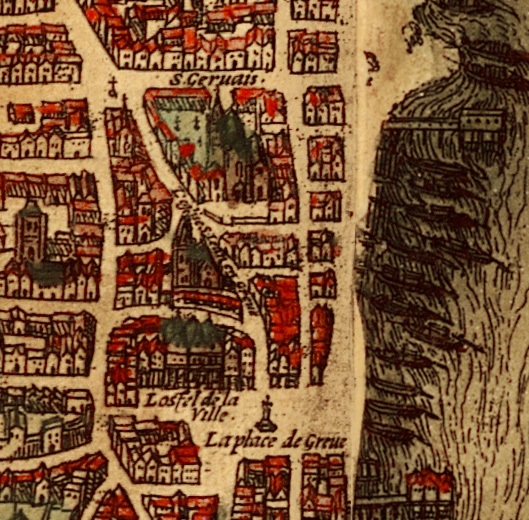 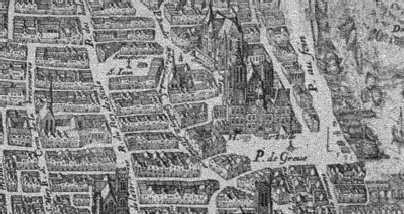 Part of Braun and Hogenberg map of Paris from Civitates Orbis Terrarum I -7 published in 1572. 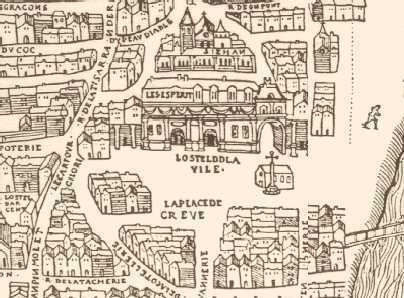 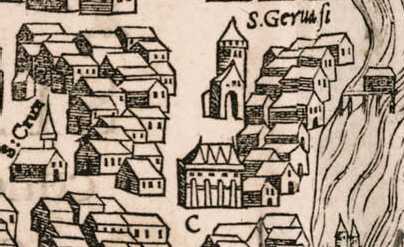 Part of the map made by Turschet and Hoyau, circa 1552. 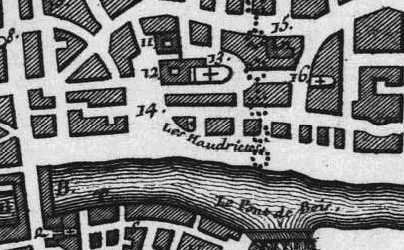 This map is also known as the Plan de Bâle. 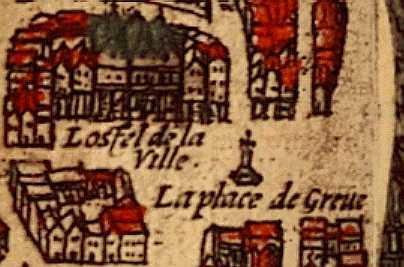 Part of the Merian map of 1615.